It’s no surprise that the banking industry is one of the largest industries in the world. Forbes has reported that five of the biggest banks in the United States control half the industry’s $15.3 trillion in assets. JPMorgan Chase, Bank of America, Wells Fargo, Citigroup and US Bancorp are among the top five, collectively holding $6.8 billion in assets. With all that money, one may be wondering how much those at the top of the pyramid are taking home each year. We at The Sitch were also curious, so we pulled together a list of the 5 highest paid CEOs in banking. 5. William S. Demchak – PNC Financial Servies Group Inc.
Coming in at the bottom of our list of top-paid CEOs in banking, William S. Demchak still made a not-so-surprising $13.2 million last year. Before PNC, Demchak held a variety of key executive positions at JPMorgan Chase including Global Head of Structured Finance and Credit Portfolio. At age fifty-five, Demchak also comes in as the youngest CEO on our list. Trailing right behind the third highest paid CEO, Wells Fargo’s Timothy J. Sloan is the fourth highest paid CEO in banking. Sloan made a total of $17.5 million last year. After graduating from the University of Michigan, Sloan started working at Wells Fargo in 1987, rising through the ranks to COO and president in 2015, before becoming CEO in 2016. Michael L. Corbat is right in the middle of our list of top five highest paid banking CEOs. Corbat has worked at Citi or its predecessor companies for his entire career, starting with Salomon Brothers. Prior to becoming Citi CEO in 2012, Corbat was CEO of Europe, Middle East and Africa (EMEA) where he oversaw all Citi operations in each region. Corbat is an enthusiastic fly fisherman, golfer, downhill skier and also played offensive guard at Harvard. 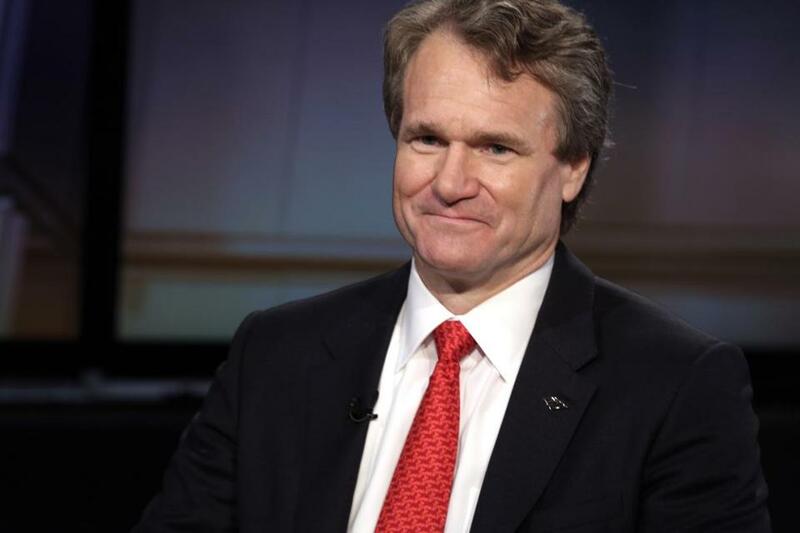 Bank of America’s Thomas Moynihan takes the cake for the second highest paid CEO in the banking industry. He earned $21.3 million last year, which was a whopping 37.8% more than the year before. Moynihan was named CEO of Merrill Lynch after its sale to Bank of America in September 2008 and became the CEO of Bank of America after Ken Lewis stepped down in 2010. Dimon has topped the charts as the highest-paid CEO in banking for several years now. A graduate from both Tufts and Harvard, Dimon became CEO of JPMorgan Chase after being promoted from president and COO. Last year it was reported that he made $28.3 million in total compensation, which is 3.9% more than he made the year before. Last year’s payout is only $1.7 million shy of his all-time record of $30million in one year, which the CEO earned back in 2007. So that wraps up our list of the highest paid CEOs in banking. It’s quite mind-boggling to see how much each of these guys make each year. Let us know what you think about these CEO’s salaries in the comments section below and be sure to subscribe to The Sitch for more interesting CEO reads.